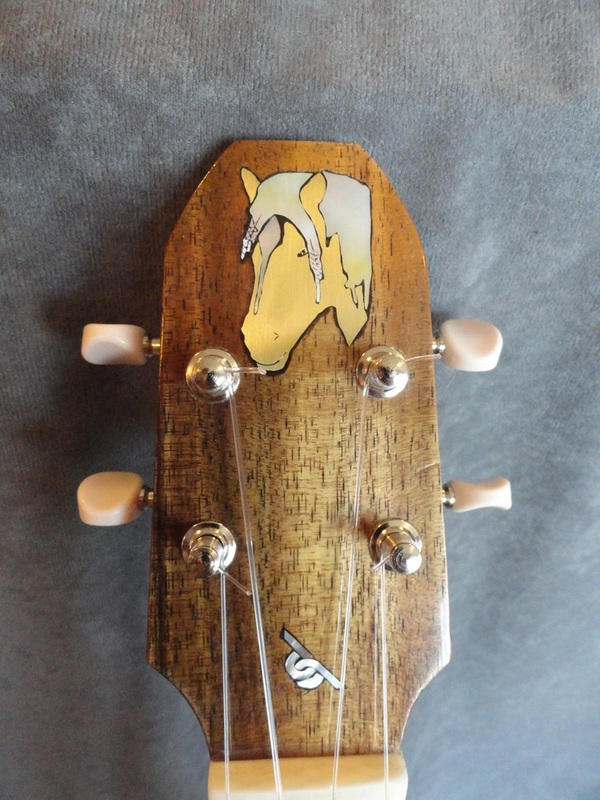 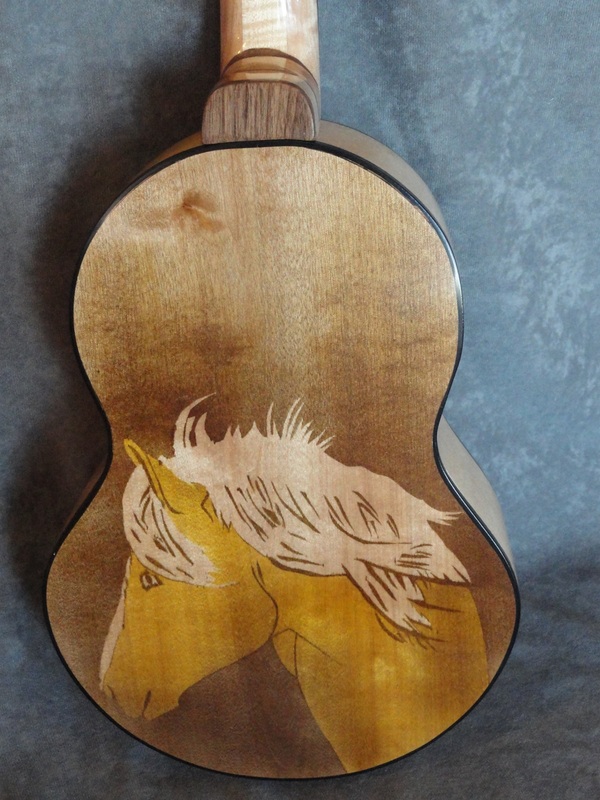 Tenor ukulele for my sister’s birthday featuring her two horses. My sister just hit a milestone birthday, and I wanted to give her a ukulele to mark that milestone. 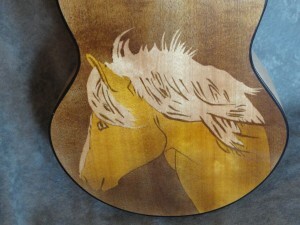 She has two Haflinger horses, and I wanted to incorporate their images into the instrument. 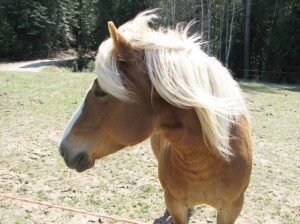 Pictures of the horses are at the bottom of this page. 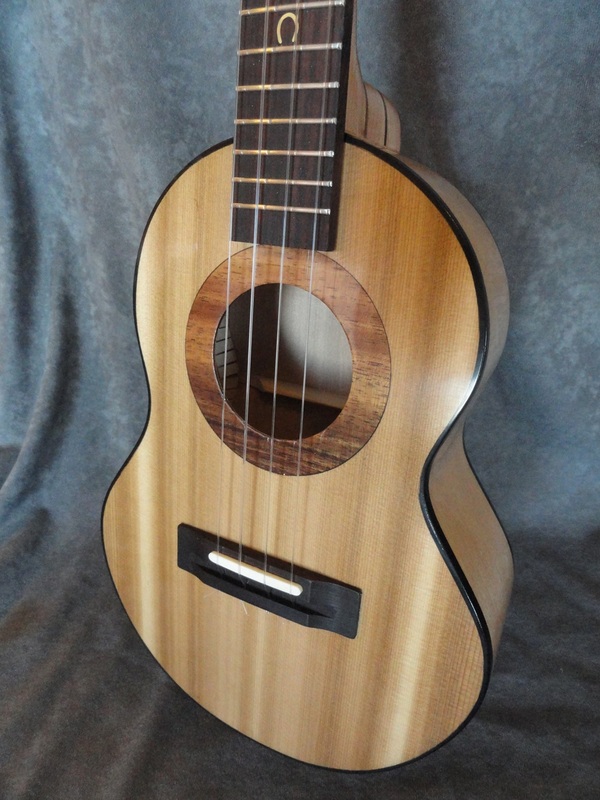 The ukulele has birch back and sides, Western red cedar top, koa headstock and rosette, and rosewood fingerboard and bridge. The neck is a laminate of figured cherry and maple. Airbrushing was with Colortone dyes followed by a coat of shellac and then water-based lacquer. 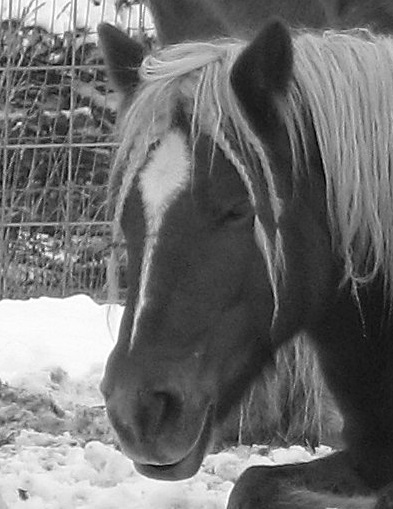 These are the Haflingers with Peggy on the left and Cindy on the right.